Guy Fieri is the Food Network's biggest star of the moment with his show Diners Drive-Ins and Dives running up to eight times a day on the cable network. Fieri also presides over Guy's Big Bite, Rachael vs. Guy Celebrity Cook-Off and Food Network Star. Fieri got his start on the food network after winning the second season of Food Network Star in 2006. His big personality and signature spiky locks brand him as a new kind of celebrity chef concerned more with personality than cooking. He has a cult-like following and his live demonstrations and appearances attract thousands of fans. The full extent of the damage done to Paula Deen's empire from the fallout over her racist remarks and treatment of staff remains to be seen. Her 2012 Net worth was $17 million, and here at Celebrity Net Worth, we estimate her current net worth to be $10 million. Her fortune was made from her television shows, live appearances, cookbooks, and magazine. Due to the 2013 scandal, Deen has lost sponsorship deals, publishing dollars and potentially other revenue streams. Chef Alain Ducasse is the first chef to own restaurants carrying three Michelin Stars in three cities and it is this stellar reputation that he leveraged into lucrative licensing deals at hotels around the globe. London's Alain Ducasse and Paris's Le Relais and Le Louis XV remain sought after dinner reservations as the spots that cemented his legend in the culinary world. The chef also owns a group of hotels in Europe and a Parisian cooking school that carries his name. Todd English made his name with his Olives restaurant in the Charlestown neighborhood of Boston. His Olive Group of restaurants reported earnings of $53 million in 2011. He also filed a patent for a new type of rotisserie grill that moves skewered meat not just in one direction around the spit, but also around the grill and the spit itself. English is also the author of several cookbooks, has a TV show, and his own line of cookware and olive oils. Bobby Flay burst onto the scene with his Southwestern/Mexican-inspired food, and is one of the Food Network's biggest stars with six shows on the network. He owns and operates several restaurants: Mesa Grill in Las Vegas, New York, and the Bahamas; Bar Americain in New York and Uncasville, CT; Bobby Flay Steak in Atlantic City and Bobby's Burger Palace in ten locations. He has written five cookbooks. He and fellow Food Network star Giada De Laurentiis are developing a daytime talk show for CBS. In 1994 actor Robert DeNiro paired with chef Nobu Matsuhisa to expand his business. DeNiro had been eating in Nobu's tiny Beverly Hills restaurant Matsuhisa for years. The partners now oversee a chain of 31 high-end sushi restaurants. In June 2013, the chef opened a Nobu hotel inside Caesar's Palace in Las Vegas. Mario Batali is one of the chefs on this list who earn the bulk of their money from their restaurants, though in Batali's case television deals and personal appearances are a very close second. He is the author of 11 successful cookbooks. Batali licenses cast iron cookware, pasta sauces, peppermills, and wine from his La Mozza vineyard. Rachael Ray is the only celebrity chef on this list who does not own a restaurant. She is a protégé of Oprah Winfrey, and she learned plenty about building her empire from her mentor. Ray got her start on the Food Network in 2002 with the shows $40 a Day and 30 Minute Meals. A few years later she added a magazine and a day time talk show to her portfolio. She has 20 successful cookbooks that appeal to people due to their accessibility in both ingredients and skill level. Wolfgang Puck became famous in the 1980s for his modern take on pizza at his Sunset Strip restaurant, Spago. He now oversees an empire that includes 20 fine dining establishments, dozens of catering companies, a fast casual chain of 80 Wolfgang Puck Express locations, branded pizzas and soups in U.S. supermarkets and cookware on the Home Shopping Network. 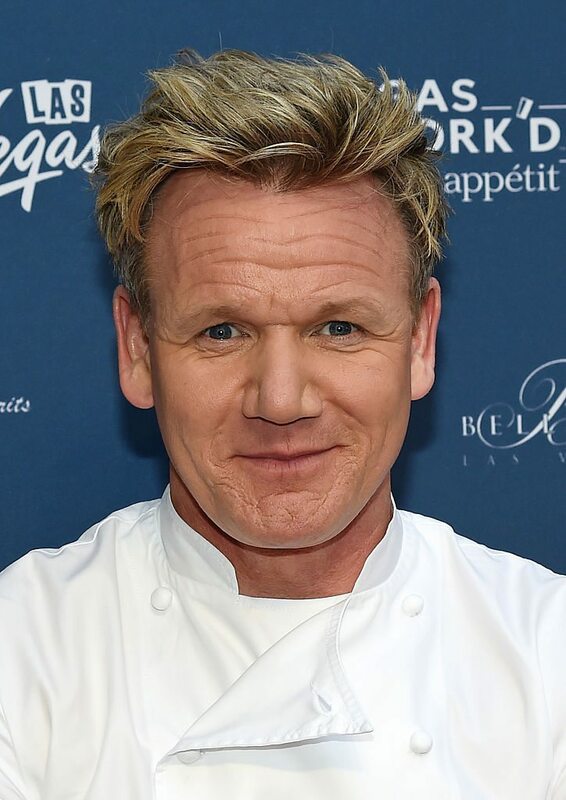 Gordon Ramsay is better known in the U.S. for being a TV personality than a chef, even though he owns 23 restaurants around the world. Ramsay could soon change that with his steak house inside the Paris Hotel's Casino in Las Vegas and his casual dining restaurant The Fat Cow at the Grove Shopping Center in Los Angeles. British restaurantrepreneur Jamie Oliver is the richest chef in the world with a net worth of $400 million. Also known as "The Naked Chef", Jamie earned a reported $70 million in 2012 alone thanks to the massive success of his books, endorsements and restaurants. His book "30 Minute Meals" sold over 15 million copies and his TV shows are syndicated to more than 40 countries around the world! It might be time to change that nickname from The Naked Chef to The Filthy Rich Chef! Jamie Oliver net worth: Jamie Oliver is a well known media personality, master Chef and restaurateur who has a net worth of $400 million.